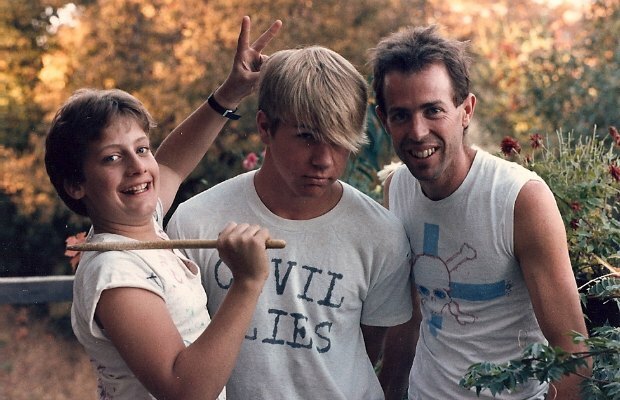 Thirty years ago, long before there was Gilman Street, Green Day, or the East Bay pop punk explosion, three guys got together in an off-the-grid hippie wilderness known as Spy Rock, and The Lookouts were born. Available for the first time in 30 years, Spy Rock Road will is available now via the Spy Rock Road (And Other Stories) via Don Giovanni Records. Together with bassist (and future forest ranger) Kain Kong, and with guest appearances by Tim Armstrong (Rancid, Operation Ivy) and Green Day’s Billie Joe Armstrong, The Lookouts produced a legacy of two albums, two EPs, and several compilation tracks, the best of which are featured here. Listen now to never before heard 1985 demo track titled “California/Mendocino”. Spy Rock Road would be the first time 12-year-old Tre Cool ever laid hands on a drumstick or a set of drums, but over the following five and a half years he would hone the skills that would one day see him headlining amphitheaters and stadiums, winning Grammy Awards, and being inducted into the Rock and Roll Hall of Fame with his second band, Green Day. Guitarist and singer Larry Livermore would go on to co-found Lookout Records, the indie label that introduced Green Day and many other bands to the world. Available on iTunes and limited edition green vinyl, the Spy Rock Road (And Other Stories) collection features the original album and a collection of tracks from their others albums, EPs and never before heard demos. Tags: Billie Joe Armstrong, california, California/Mendocino, California/Mendocino the lookouts, Don Giovanni Records, Grammy awards, Green Day, Kain Kong, Larry Livermore, Lookout, Lookout Records, Lookouts, Mendocino, Operation Ivy, Rancid, Records, Spy Rock, Spy Rock Road, Spy Rock Road (And Other Stories), The Lookouts, Tim Armstrong, Tre Cool. Bookmark the permalink.